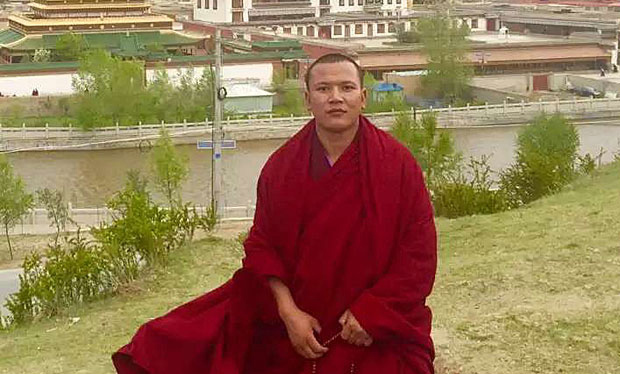 (TibetanReview.net, Jun19, 2016) – China has on May 29 again taken away a Tibetan Buddhist monk in Mangra (Chinese: Guinan) County of Tsolho (Hainan) Prefecture, Qinghai Province, without any explanation, reported the Tibetan Service of Radio Free Asia (Washington) Jun 17. Choesang Gyatso, a monk of Lutsang Monastery, was taken away from his monastery and his current whereabouts remain unknown. The monk is said to lead an association set up to promote education among young children in Tibetan nomadic areas. He is also the editor of a Tibetan journal called ‘The Sound of Hoofbeats’. China considers such initiatives illegal association and has previously persecuted other Tibetans as well for similar reasons while a number of Tibetan writers have been arrested and jailed for alleged separatism and other pretexts. Gyatso himself was previously detained for about a month and then freed without any explanation, the report said.